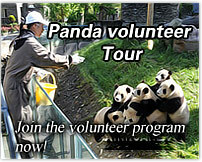 Wonderful wild Great Wall Walking trip from Jingshanling to Simatai, Hike in the Yellow Mountain, trek through the Longji Terraced Paddy Fields and the ethnic villages, walk along the beautiful Li River, biking in the Yangshuo countryside, bamboo rafting on the picturesque Yulong River, enjoy Chinese cooking course...everything you do in this package will be enjoyable and interesting! 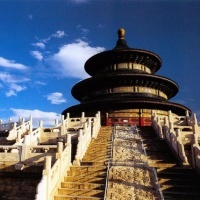 After breakfast, pay a visit to the Temple of Heaven, Qianmen Dajie, Tiananmen Square and the Forbidden City. This evening, enjoy Beijing Roast Duck dinner. 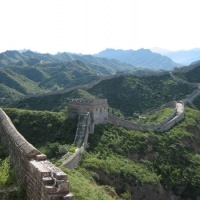 Enjoy full-day wild Great Wall hiking tour from Jinshanling to Simatai (12 km, about 5 hrs). Visit the Beijing Hutongs by a rickshaw. After lunch, proceed to visit the imperal garden of Qing Dynasty, the Summer Palace. 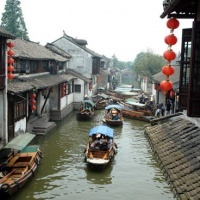 Drive about 1.5 hours to Zhouzhuang Water Town to see the Shen Family Residence, Zhang Family Residence and Mi Tower and then have a river cruise through the town. 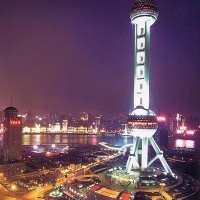 Drive back to your hotel in Shanghai. 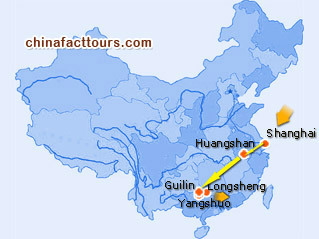 After breakfast, visit the Shanghai Museum and the Jade Buddha Temple. 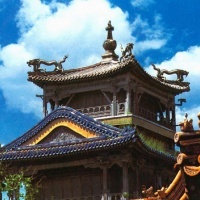 Proceed to visit the Yu Garden and the Yuyuan Market. Get up in the early morning to catch the beautiful sunrise. 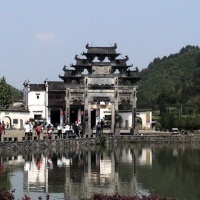 After breakfast, take cable car down the mountain and transfer to Yixian County to visit the Hongcun Village. 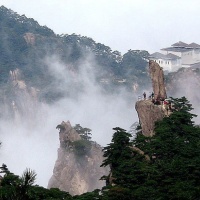 Drive back to Huangshan to visit the Tunxi Old Street. 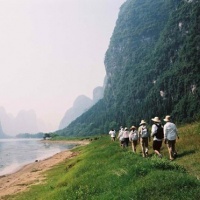 Today, we will enjoy biking in the beautiful countryside and raft down the Yulong River. 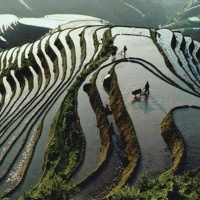 Ride back to Yangshuo, your guide and cooking teacher will bring you to a local market to buy meat and vegetables. In the cooking school, you will have a cooking course to learn how to cook Chinese food.